CINCINNATI — The University of Cincinnati’s offense in 2016 was one of the worst in college football, but Gunner Kiel, who was one of UC's quarterbacks at the time, doesn’t believe that is a reflection of newly hired Cincinnati Bengals head coach Zac Taylor. 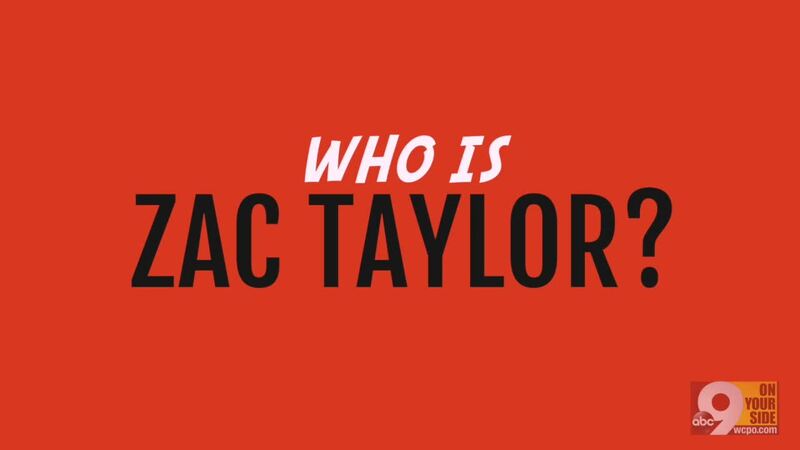 Taylor was the Bearcats’ offensive coordinator and quarterbacks coach in Tommy Tuberville’s final season, a 4-8 campaign in which UC ranked 123rd of 128 teams in scoring offense with just 19.3 points per game. When Tuberville resigned amid speculation he would be fired at the end of the season, Taylor landed on his feet with a return to the NFL, where he had previously spent time on the Miami Dolphins’ staff. He was hired as the Los Angeles Rams’ assistant wide receivers coach, then promoted for the 2018 season to quarterbacks coach. The Bengals have tabbed Taylor to replace Marvin Lewis, who left after 16 years with what was called a mutual parting of ways by the organization. It’s only natural for Cincinnati fans who saw Taylor's Bearcats offense struggle to wonder whether he is a good fit for the Bengals, who are coming off three straight losing seasons but have a wealth of young talent at the offensive skill positions. The Bearcats offense averaged 374.3 yards per game, and Kiel and Hayden Moore split time at quarterback, both completing less than 60 percent of their passes and combining to throw 17 touchdowns and nine interceptions. Fellow UC alumnus Eric Lilly, who graduated in 2013, said the general fan reaction was to instantly question the move because of Taylor’s short, unsuccessful tenure here, but he doesn’t think that is fair. Lilly also points to redshirt freshman quarterback Desmond Ridder’s success this year as a sign that Taylor is a quality coach. Ridder, an under-recruited 3-star prospect out of Louisville St. Xavier High School, was the only recruit Taylor brought to UC, according to 247sports.com, and the young quarterback surprised with an outstanding 2018 season. Ridder threw for 2,445 yards and 20 touchdowns with just five interceptions this season, leading the Bearcats to a 10-2 finish and Military Bowl win. In a different scenario in 2016, guys like Kiel and Moore might have had better success under Taylor. Kiel said he still enjoyed playing for Taylor and believes the Bengals will, too. “At Cincinnati, Coach Taylor was definitely a player’s coach,” Kiel said. “He held everyone accountable and made sure that everyone on the offensive side was engaged in the game plan. In the quarterback meetings, he made sure that everyone in the room knew what our game plan was for that week. He never singled out a guy and always made sure the next guy in was just as prepared as the starter.